Google and Motion Picture Association clash over anti-piracy measures. Google and MPAA Clash Over Movie Piracy. Google Swiftly Files Suit. 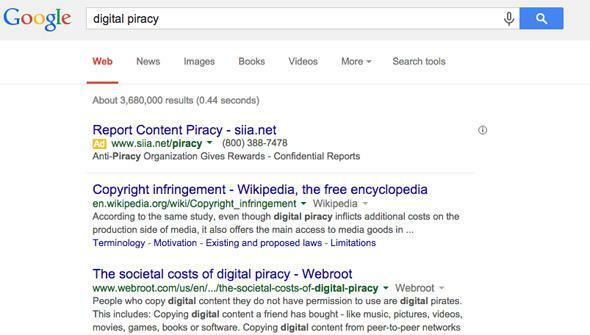 Google and the MPAA have never quite seen eye to eye on anti-piracy methods. It’s been a long week. A lot of stuff has been hacked, and we’re all pretty sick of it. If only there were a juicy feud to revive our spirits before the weekend. Enter Google and the Motion Picture Association of America, which have really thrown down in the last 24 hours over anti-privacy measures. Documents in one of the Sony Pictures data dumps revealed that some media companies, backed by the MPAA, had been working on anti-piracy tactics codenamed “Project Goliath.” Noting similarities between the initiative and the SOPA bill, which was defeated in 2012, Google angrily took to its public policy blog on Thursday. We are deeply concerned about recent reports that the Motion Picture Association of America (MPAA) led a secret, coordinated campaign to revive the failed SOPA legislation through other means, and helped manufacture legal arguments in connection with an investigation by Mississippi State Attorney General Jim Hood. … [O]ne disappointing part of this story is what this all means for the MPAA itself, an organization founded in part “to promote and defend the First Amendment and artists’ right to free expression.” Why, then, is it trying to secretly censor the Internet? Google’s effort to position itself as a defender of free speech is shameful. … Freedom of speech should never be used as a shield for unlawful activities and the internet is not a license to steal. Google’s blog post today is a transparent attempt to deflect focus from its own conduct and to shift attention from legitimate and important ongoing investigations by state attorneys general into the role of Google Search in enabling and facilitating illegal conduct—including illicit drug purchases, human trafficking and fraudulent documents as well as theft of intellectual property. Wait, human trafficking and drug purchases? What? Basically, what’s going on is that Mississippi Attorney General Jim Hood, along with other state attorneys general, has been working with a number of advocates for months to pressure Google to be more diligent about policing ads for/links to websites that sell illegal drugs, facilitate human trafficking, or promote media piracy. Hood had subpoenaed Google for information on how it polices ads that promote illegal activities. And now, presumably because it’s ticked off at the MPAA, Google has filed a lawsuit to block Hood’s subpoena. My Consumer Protection Division issued an administrative subpoena asking for documents. Google sent more than 99,000 jumbled, unsearchable documents in a data dump. I agreed to give Google additional time to comply with our request and hoped we could reach an agreement. Instead, after the Sony hack, Google’s General Counsel Kent Walker began blogging and feeding the media a salacious Hollywood tale. Now, feeling emboldened with its billions of dollars, media prowess and political power, some of its more excitable people have sued trying to stop the State of Mississippi for daring to ask some questions.